Good morning and happy Monday! 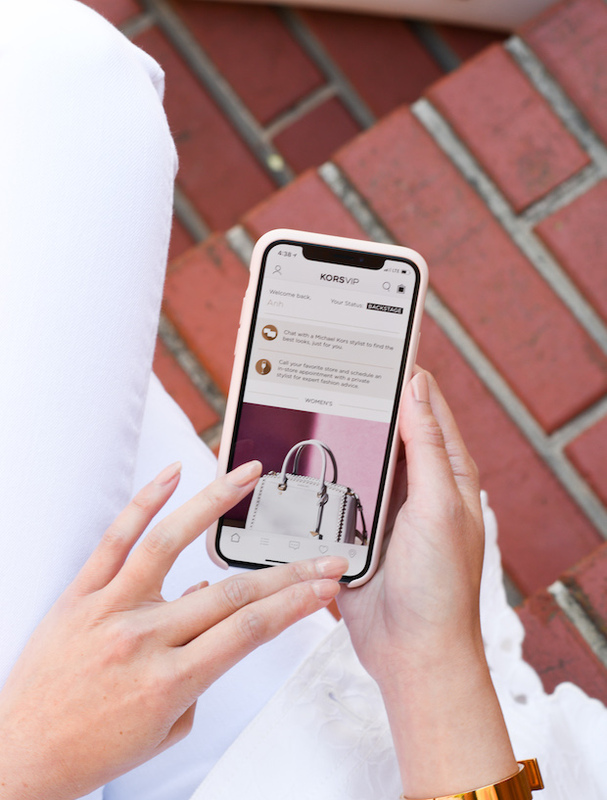 Earlier this Spring I bought a gorgeous Michael Kors bag (before our trip to Kauai, also photographed here) and learned about their new KORSVIP loyalty program during my purchase. About the program: it’s free to join and as a member you’ll be eligible for benefits including free shipping & returns, an annual gift and more! I quickly downloaded the app to check it out (and to verify my purchase points got me to the Backstage level – it did!). I now have access to free gift wrap, private styling + appointments and more. Looking forward to my birthday reward next year, woohoo! Excited to be partnering with Michael Kors for today’s post – love this floral lace belted jacket! And now I’m seriously considering the lightweight woven trench…! What a great app! Thanks for sharing about it! And how gorgeous is this all white outfit! Beautiful white outfit looks! Love ♥️ it! 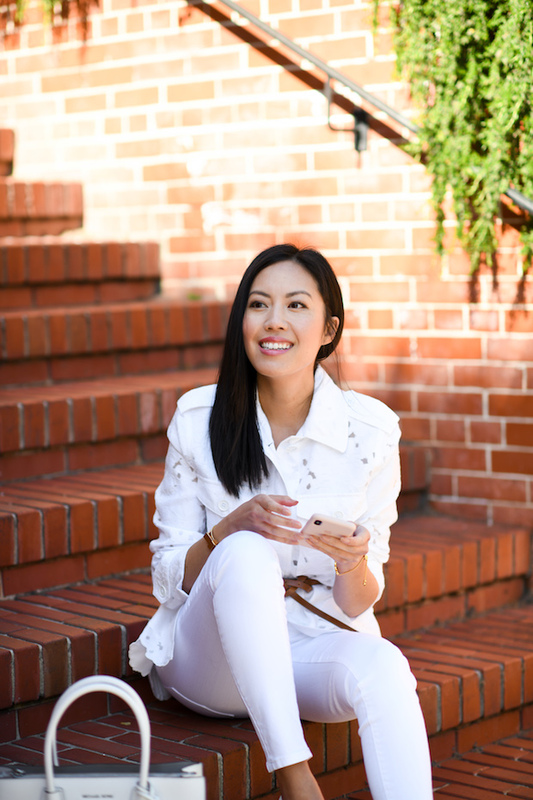 You rock this total white combo! That jacket and bag are SO good – obsessed! Such a gorgeous all white outfit! I would be so worried about getting it dirty though lol. I love Michael Kors structured bags so much! <3 🙂 The one that you're carrying is gorgeous! And loving this outfit too! Have to check out this VIP program! What a beautiful and elegant total white outfit! Love that lace jacket – so lovely!